Barnardo’s are holding a course in Maryport Children’s Centre on Mondays (term time only) from Monday 25th February to Monday 18th February 2019. 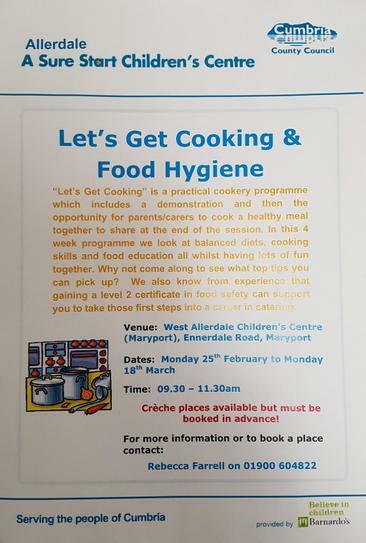 This course is aimed at parents with children aged 0-12 years interested in learning new skills about cooking healthy meals for their families. It will also give you the opportunity to gain a level 2 food hygiene qualification for free, which could aid in seeking employment.